Why Is Blockstream So Loudly Against Segwit2x? You’d think an extra 1MB of data, in a Google Fibre world of 1GB per second, is very much nothing. But many Blockstream employees have said they will quit, although what exactly is not clear, if the bitcoin network upgrades to handle a tiny amount of 1MB more. “2x is a tiny number to create an ecosystem rift and confidence loss over.” So why is he, and many of his employees, so loudly against such tiny amount of data that they’re willing to potentially cause a chaotic chain-split where some exchanges call 1x BTC while others call 2x BTC? We don’t really know and are quite puzzled by it. One explanation might be that they are against hardforks, but then are they saying 1MB forever? Because the only known way to increase the base size is through a hardfork. However, a stance of 1MB forever wouldn’t make much sense. That’s like cars still driving at 1 mile per hour. As time goes by technology improves, so the limit will have to be lifted, which means they can’t quite be against hardforks. What they may be against is bitcoin as a peer to peer on-chain payment system. Something which requires increased capacity. 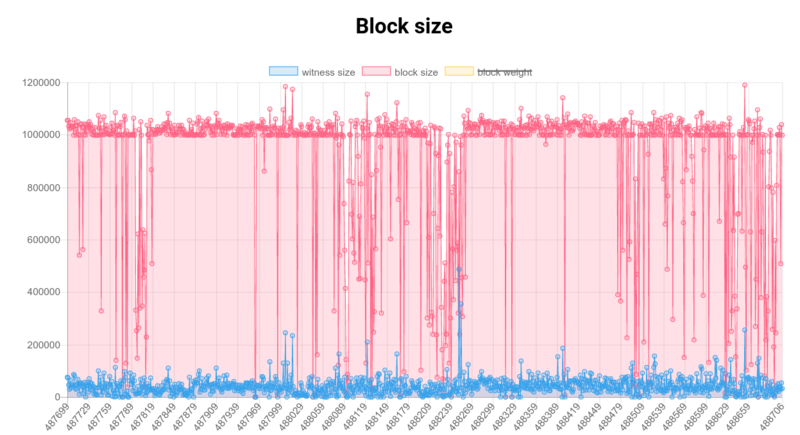 Segwit was meant to provide it, but now two months on bitcoin’s average blocksize stands at 1.01MB. Hardly much of an increase. After two years of Blockstream loudly arguing segwit is a capacity increase, we are now seeing that is technically correct, but practically it actually provides as good as no capacity increase. But why? Why did they fight so hard to activate segwit to the point of even supporting an incredible power grab by developers through the flag-day softfork, to now two months on make no difference whatever whether it was or wasn’t activated. No product to increase capacity has been launched since segwit’s activation. The Lightning Network is no where in sight. The bitcoin network is operating as if nothing whatever happened. So what exactly is going on? Was segwit a way to stall a real capacity increase for the past 3 years? Why is 1MB of data so important to Blockstream? The only rational explanation is that they are waiting for the so-called “fee market” to develop. But how long are they to wait for that before they admit their conceptual theoretical never in practice implemented nor even modeled plans for a settlement network do not actually work? Bitcoin has been operating at full capacity for now more than a year. That is sufficient data, even without undertaking full analysis, to conclude through observation that the fee market does not work. That’s for many reasons, including technical reasons. The protocol simply can not support a fee market because of block times variances and because difficulty changes make a supply and demand calculation almost impossible. As we have seen, there are instances when all the sudden congestion increases. That can be because a difficulty adjustment suddenly kicked in, which can mean that supply suddenly decreased. Assuming constant demand, the queue suddenly jumps, which means many are pushed out of the line. The opposite can also happen, an addition of new hardware to the network increases supply of block space. Assuming constant demand, fees decrease. This up and down variance of only supply, makes demand calculations almost impossible. We therefore see high temporary peaks, until demand adjusts accordingly, leading to almost no demand above capacity, until that picks up again and so on. 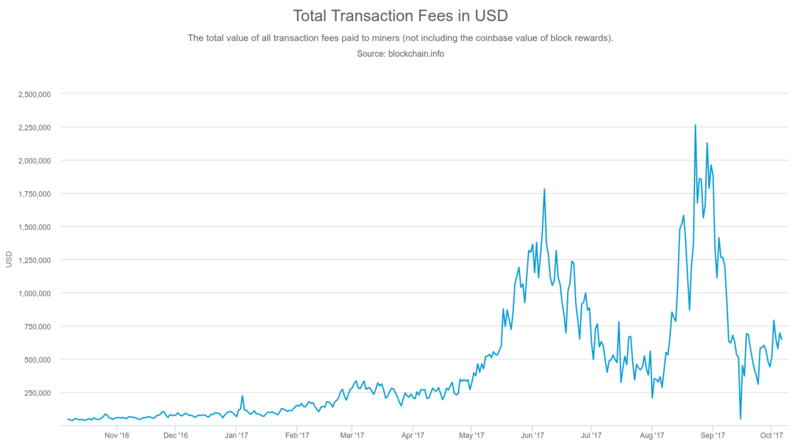 Bitcoin’s transaction fees for the past ~two years. As we can see above, the increase in fees is temporary because when fees increase they do so by spiking far too high, which causes demand to sharply fall. The same can be expected with the Lightning Network (LN) because that doesn’t change the underlying dynamics. It can accommodate more demand, but once fees spike hubs might just wait. Moreover, it would make far more sense for the transition to be gradual. LN can be launched first, for example, with bitcoiners gradually moving to it if they please. Rather than blocking all transactions when at this point bitcoin has no alternative within its ecosystem, leaving other blockchains as the only choice. Which might itself be one reason why Blockstream is so against an increase of transaction space by such a tiny amount of 1MB. Some suggest their business might benefit from providing such alternative blockchains, such as sidechains, or other methods of transacting, such as through their product Liquid. But it is probable the company was formed to provide its products because of their view that the 1MB limit should be kept. However, once money and for profit self interest enters the equation, their potentially more nuanced views might become more self interested and money motivated. Because Blockstream doesn’t necessarily care if very few people are transacting. They’re not the ones who need to scale their customer support due to being bombarded with questions about why a transaction is not confirming after 12 hours. So it may be the case they are happy to leave capacity limited, perhaps even forever. That might potentially mean just more products for them to sell. But Adam Back signed up to 2x. Even though later he reneged on it after being told off by Gregory Maxwell. That conflict within the company might suggest profit is not the only motive. Instead it may be the case they think they are architecting a transformation of bitcoin from peer to peer to peer to hub. And for that transformation to take place, they may think giving away even 1MB of more capacity is too much, perhaps because it may delay whatever plan they have. The fact they haven’t revealed such plan, after three years still not providing the public with a clear description of what exactly they aim to do and how, itself raises questions. Because in effect they are asking us to trust a for-profit company when we have no reason to. They are further not engaging in discussion with any weaknesses brought to light and so strengthened. They are actually giving no encompassing explanation whatever for any of their actions. Which means that, whether knowingly or otherwise, they might be doing what they are doing to in effect test this assumption of decentralization in the bitcoin network and show to all whether it actually holds true, or whether a for profit company can in effect centralize bitcoin into their own hands and do with it what they wish while providing no concrete explanation whatever. Because Blockstream, while speaking ideological language, has in fact shown itself to be very much a realist, so implicitly supporting the heavy censorship in r/bitcoin by their CEO sometimes posting public statements only there. And this idea of a settlement system, whether honestly believed or otherwise, can be very lucrative for intermediaries, taking all those high fees they themselves set by controlling capacity through the 1MB parameter, while selling all those sidechains. 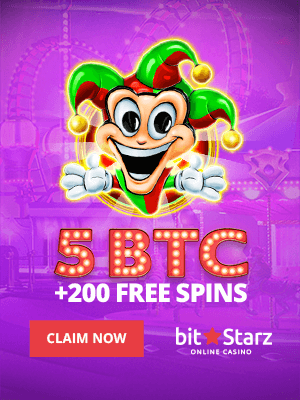 Leaving miners empty handed, users and businesses subject to the whims of intermediary hubs or banks, and the disruptive bitcoin as a shell of itself, no longer peer to peer, but peer to bank. If any of that works, that is. The current bitcoin “architects” have worked for decades to create such settlement system, but couldn’t achieve it and failed so miserably they concluded decentralized consensus is impossible. Something bitcoin proved to be mistaken. And it may well prove, even if they do manage to keep tight control over bitcoin, that the network is in its foundations designed to operate with available capacity. The Blockstream slow speed Satellite network won’t work with larger blocks. IMHO, it is related with their hardware products to protect their sidechain products, then can’t be easily upgraded in case of hard forks that aren’t activated by them self “only”. The problem isn’t the 2MB, even a fork to 1.01 MB not activated by them can be a problem.